As I said before, I like this. 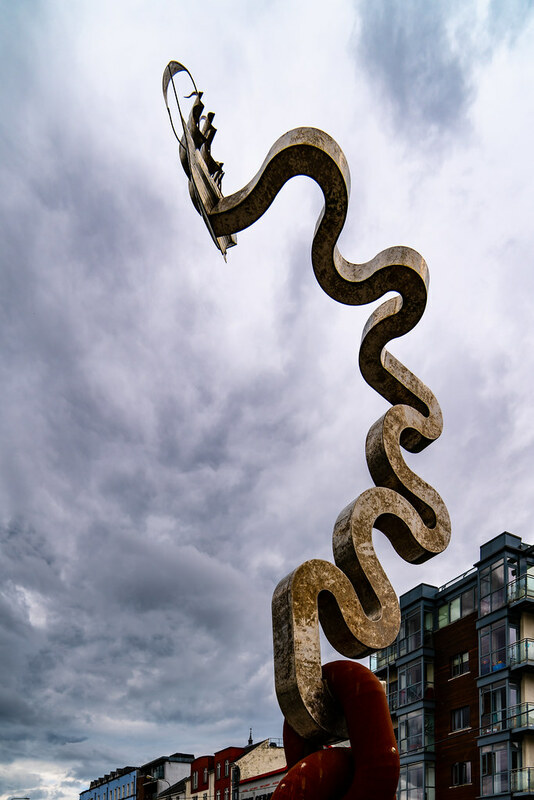 This eight-metre high, chain link piece incorporates a number of different images, including a 17th Century Tall Ship on top. 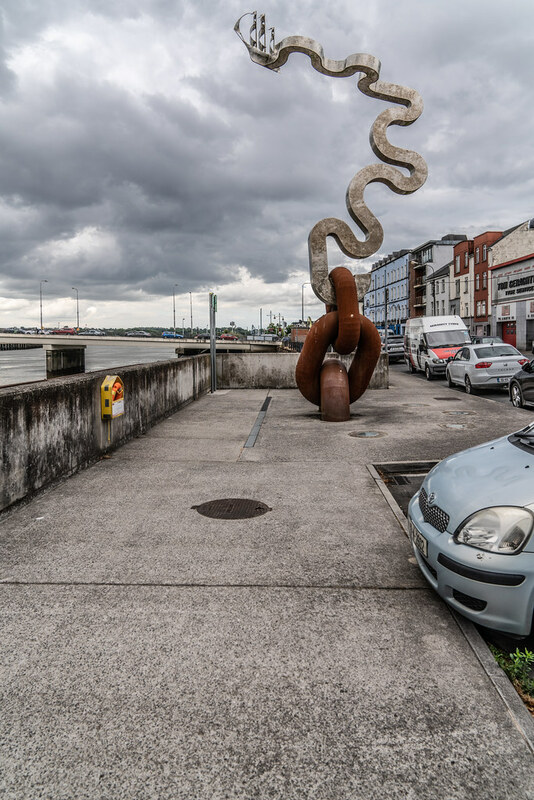 The sculpture, designed to celebrate the city’s rich maritime and industrial heritage, aims to visually enhance Grattan Quay itself and add to the area’s cultural heritage. 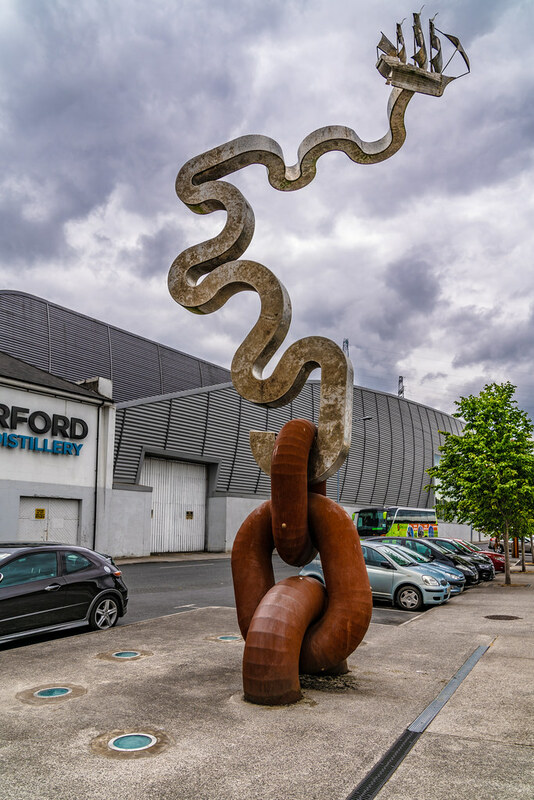 The piece, costing €60,000, was funded under the City Council’s Percent for Art Programme with a contribution from Diageo who are located on Grattan Quay. 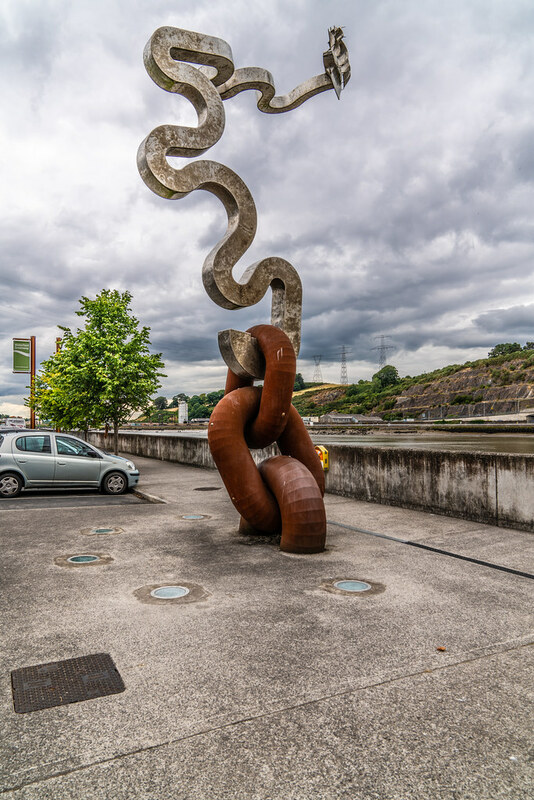 It was selected following extensive consultation with the artist, Denis O’Connor, who has previously worked on a number of public art pieces in both Ireland and Britain. 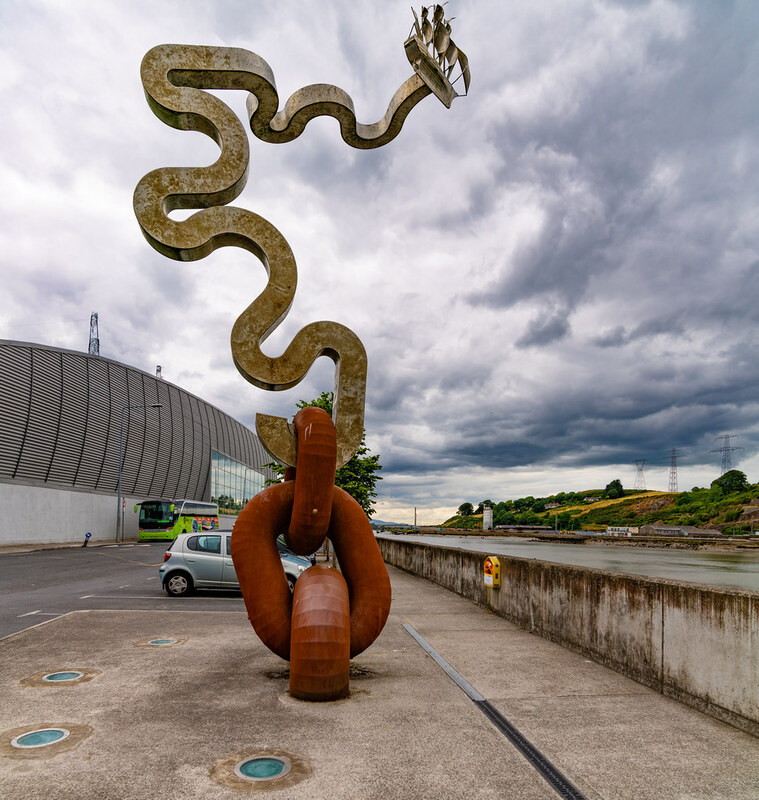 The idea of the chain links emerging from the ground and forming a river line suggested a type of renaissance for the city in terms of celebrating its rich maritime history.